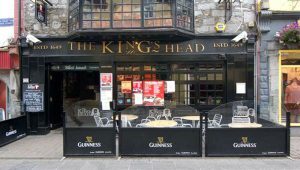 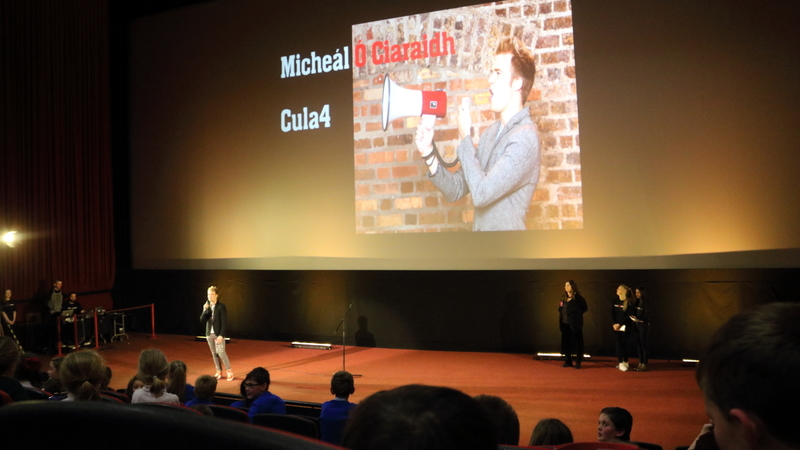 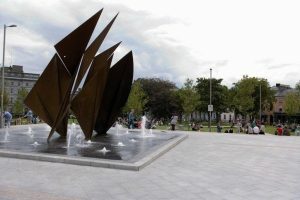 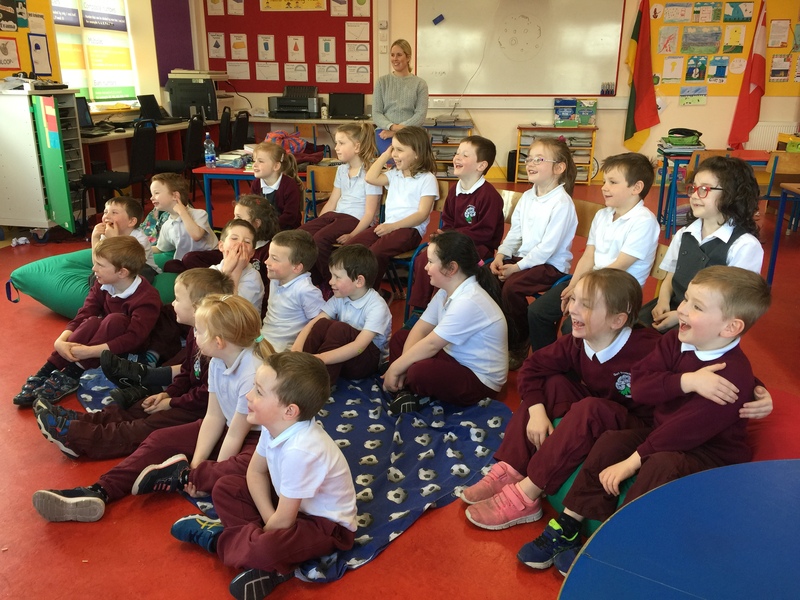 While 5th & 6th Class were having a ball in Lisbon on their Erasmus trip last week back home here in Gortskehy we were quite busy too, learning loads and having fun while doing so!! 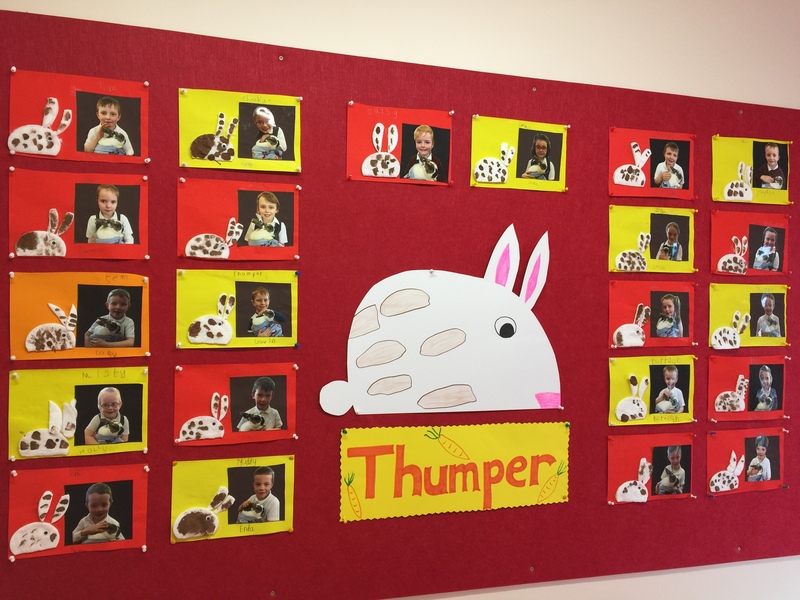 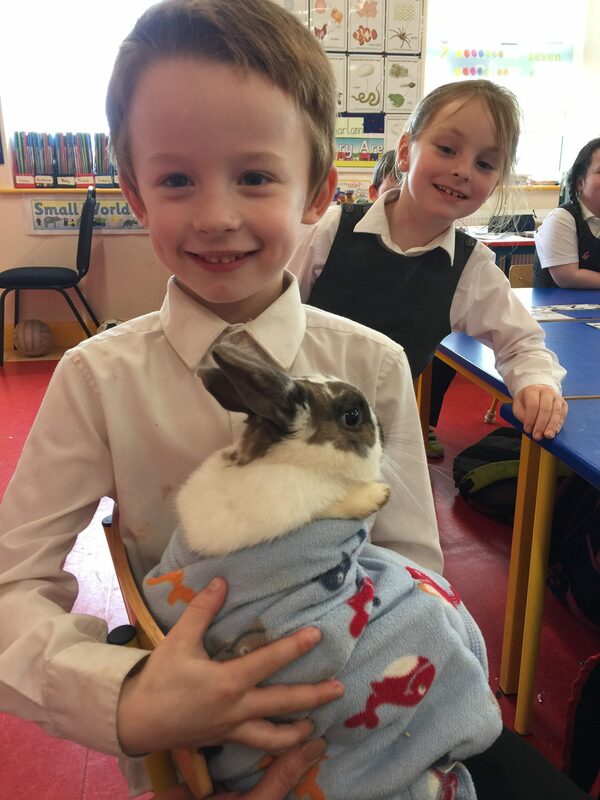 We had a very cute and cuddly visitor called ‘Thumper’ to our school. 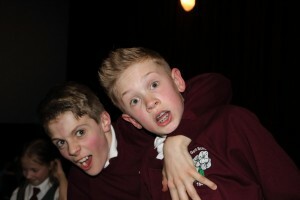 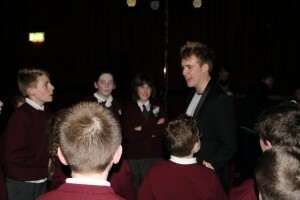 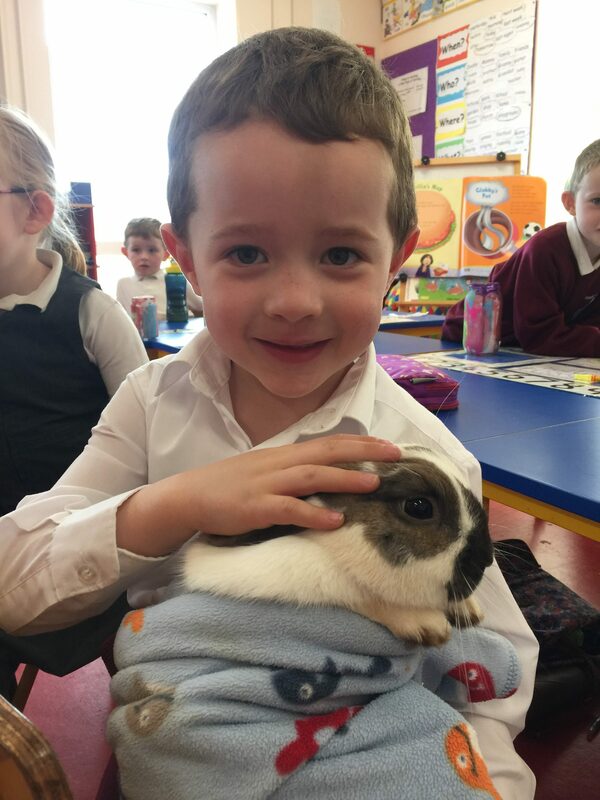 He particularly liked to cuddle up with some of the infants! 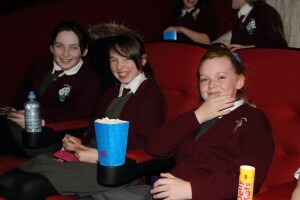 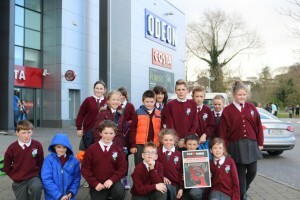 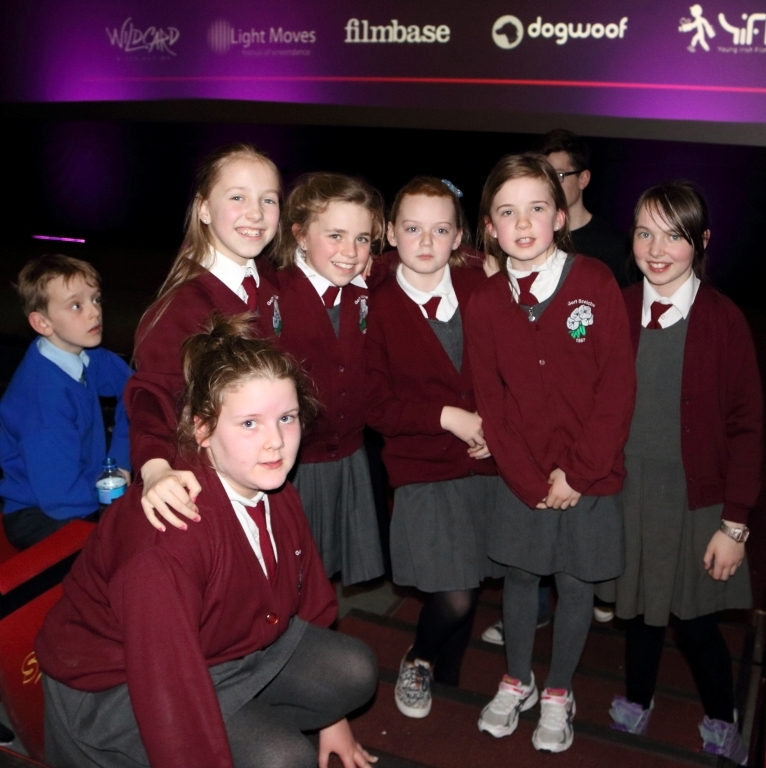 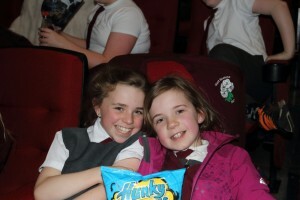 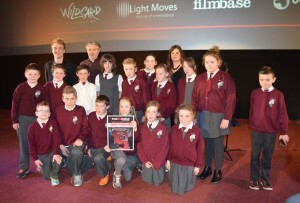 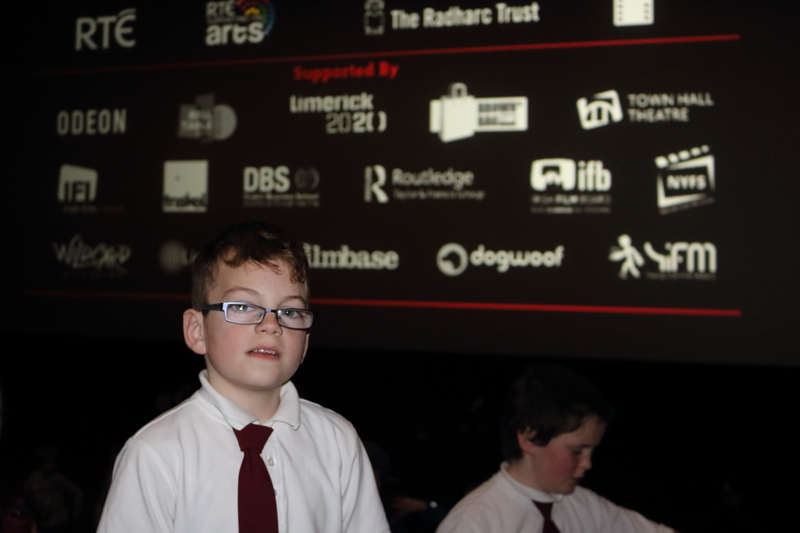 Here is a short video, some photos and the amazing artwork the children created afterwards. 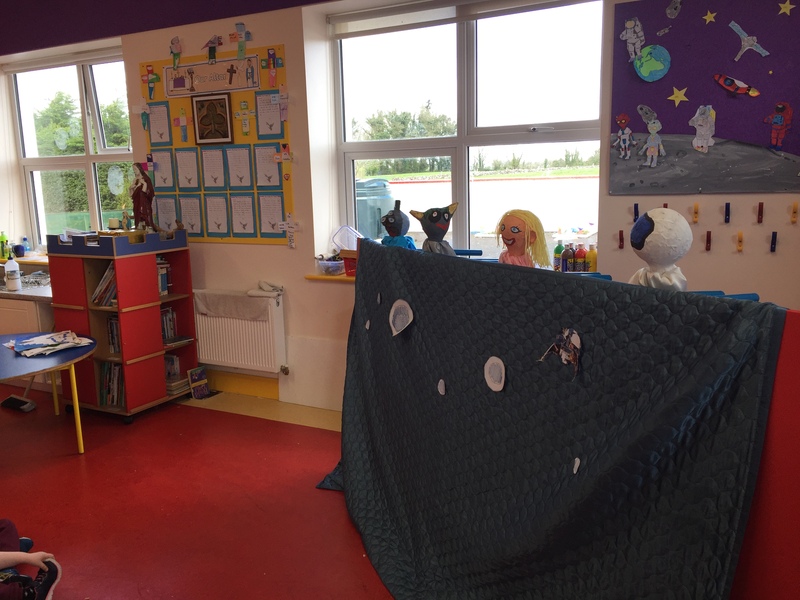 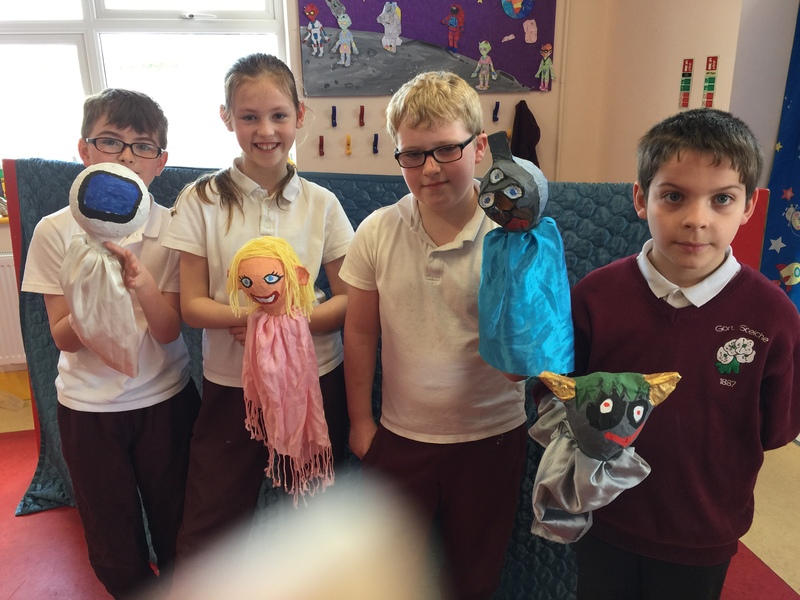 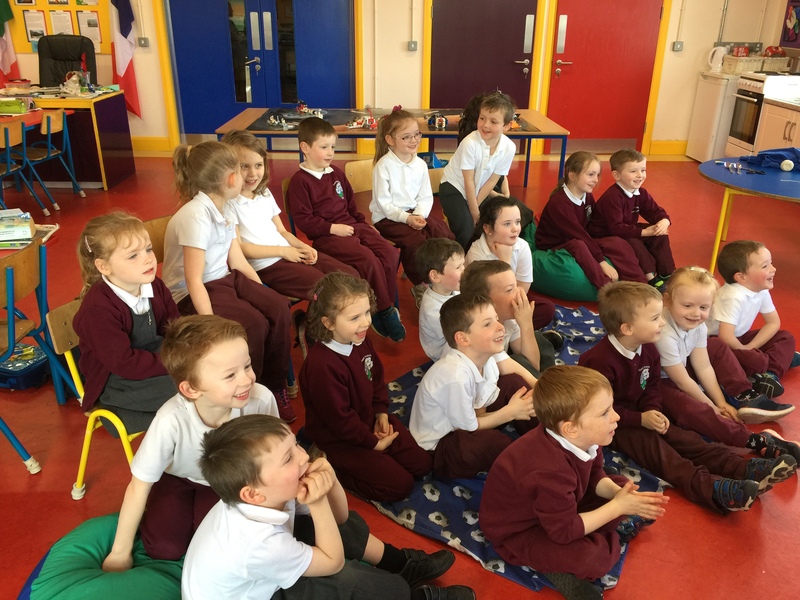 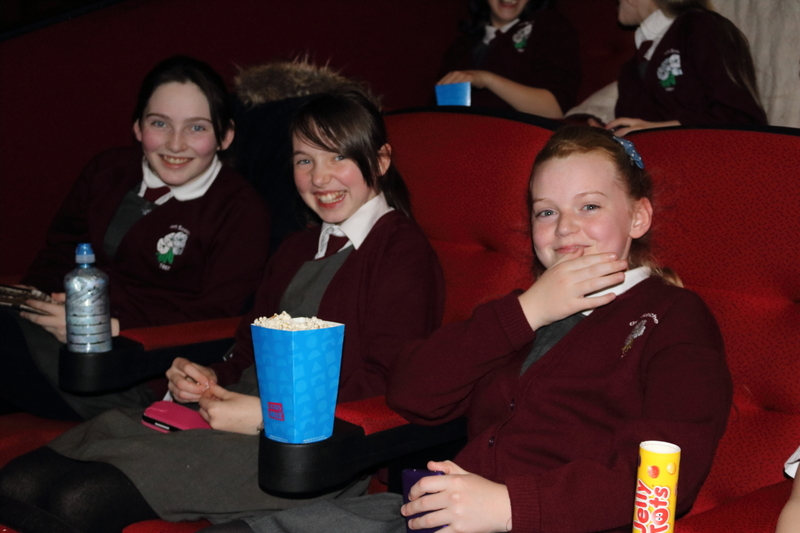 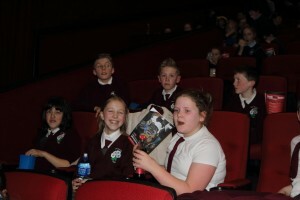 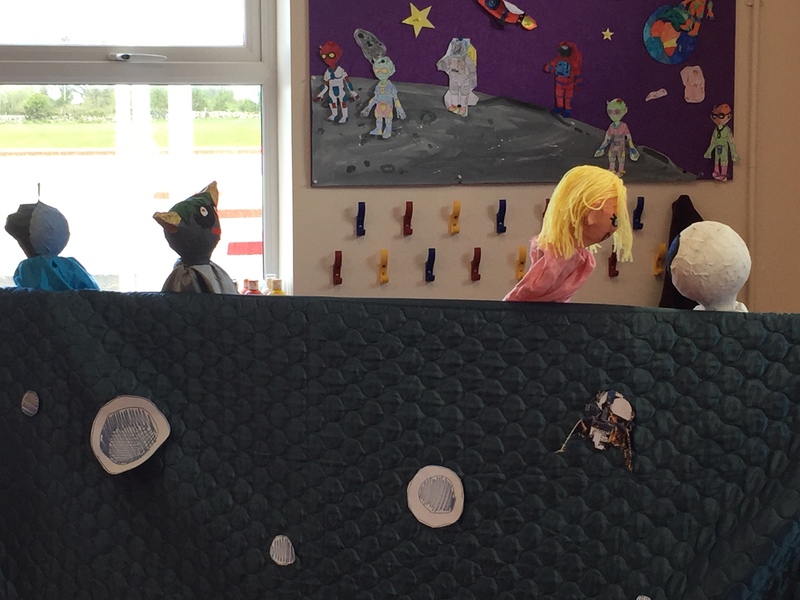 Also last week, Alex, Michael, Josh and Jessica in 4th Class were extremely busy making puppets and writing scripts for their play “The Shocking Truth”. 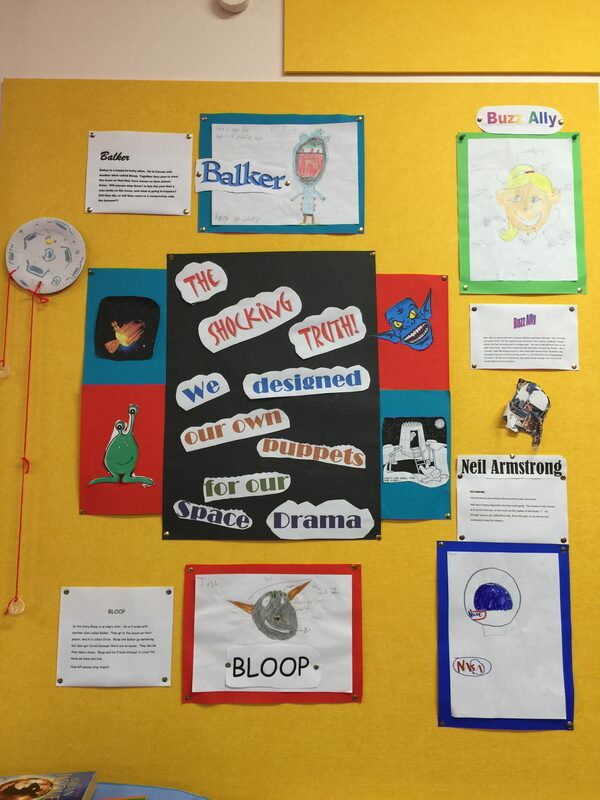 Characters included Balker, Buzz Ally, Bloop & Neil Armstrong!! 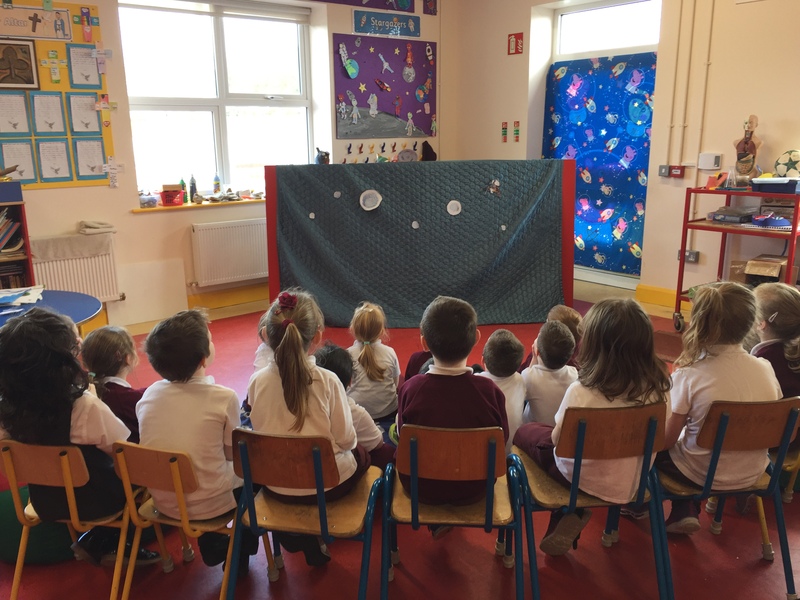 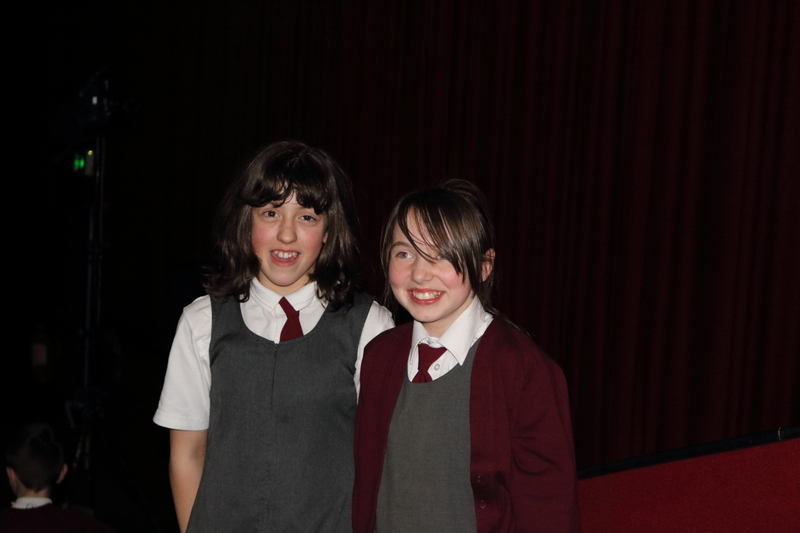 The play centered around the story of a journey to space in which a girl ‘Buzz Ally’ is the first girl to walk on the moon! 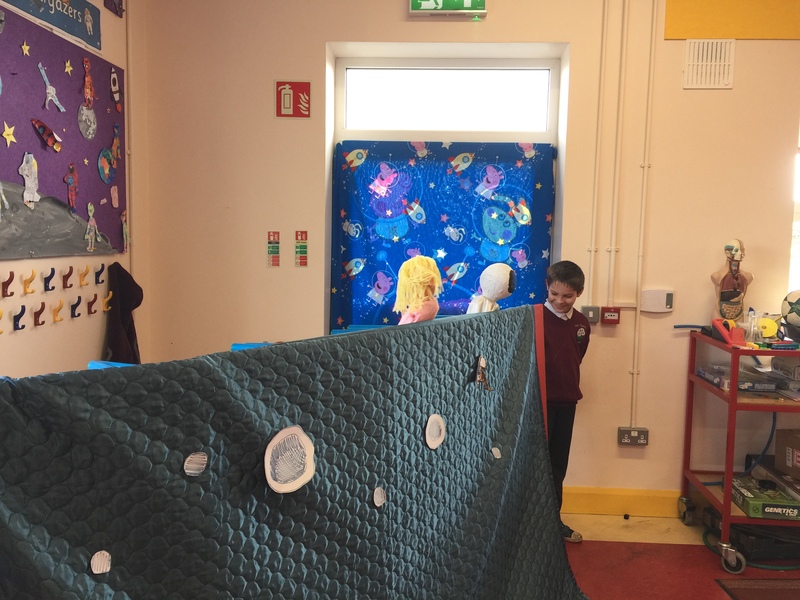 We all got to see the finished product on Friday and it was a real treat. 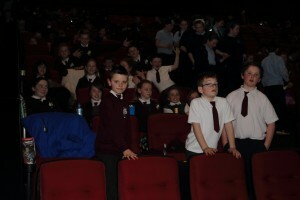 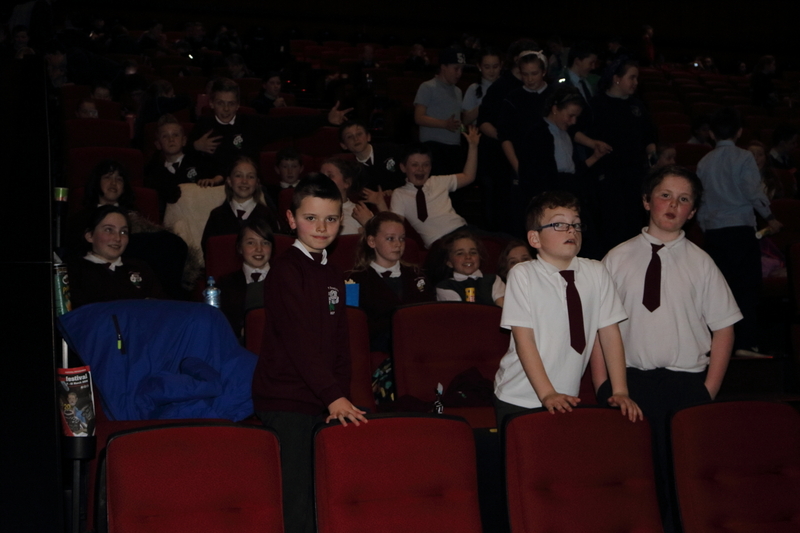 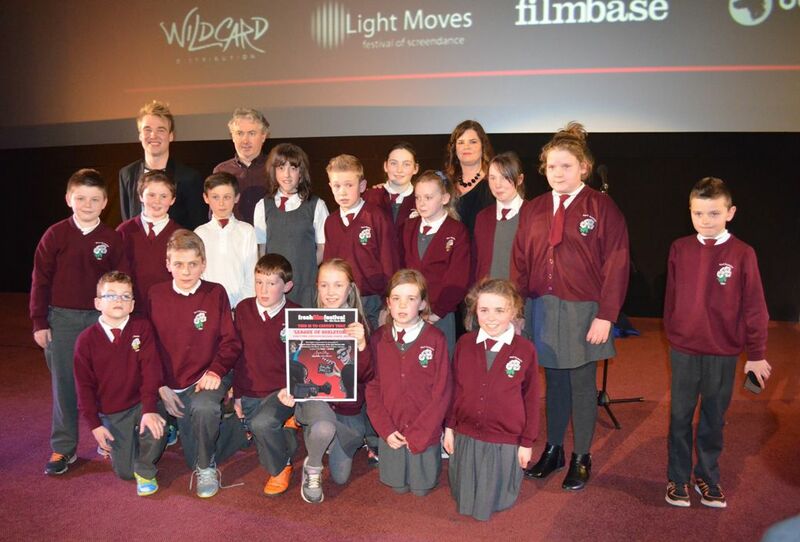 Excellent performances all round. 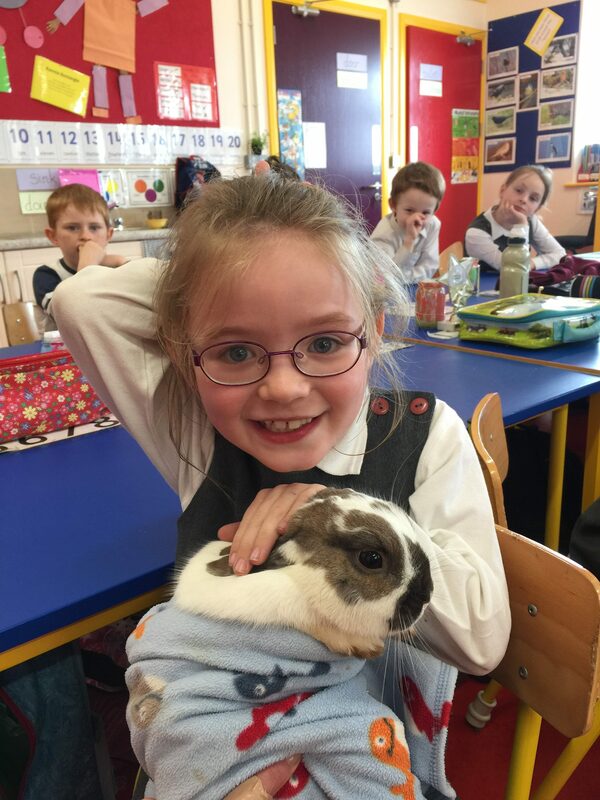 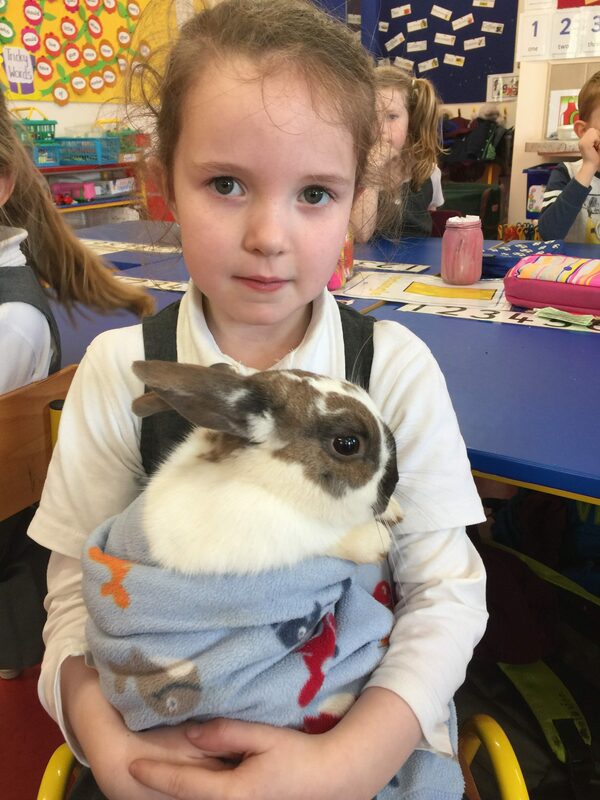 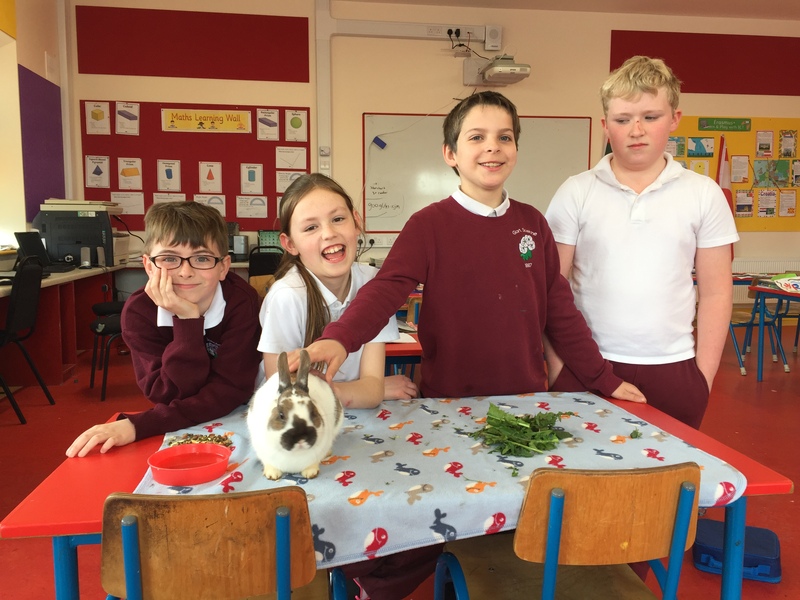 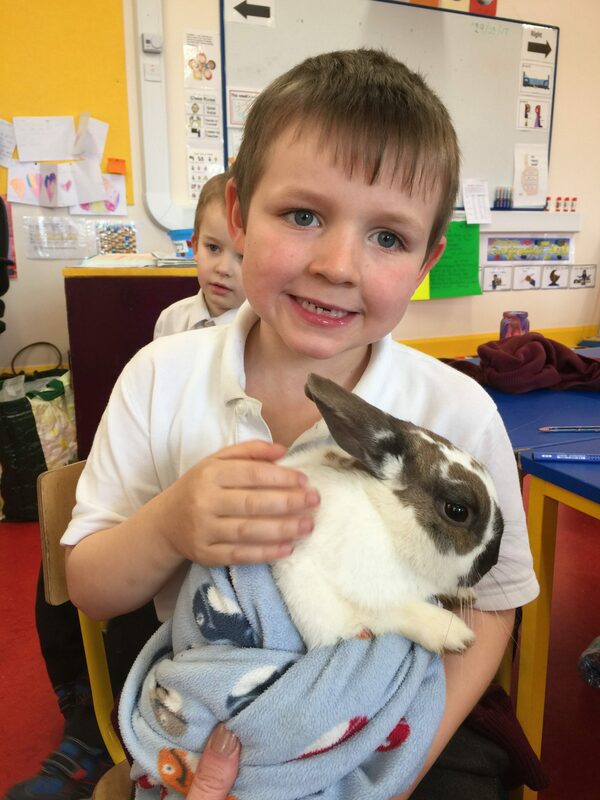 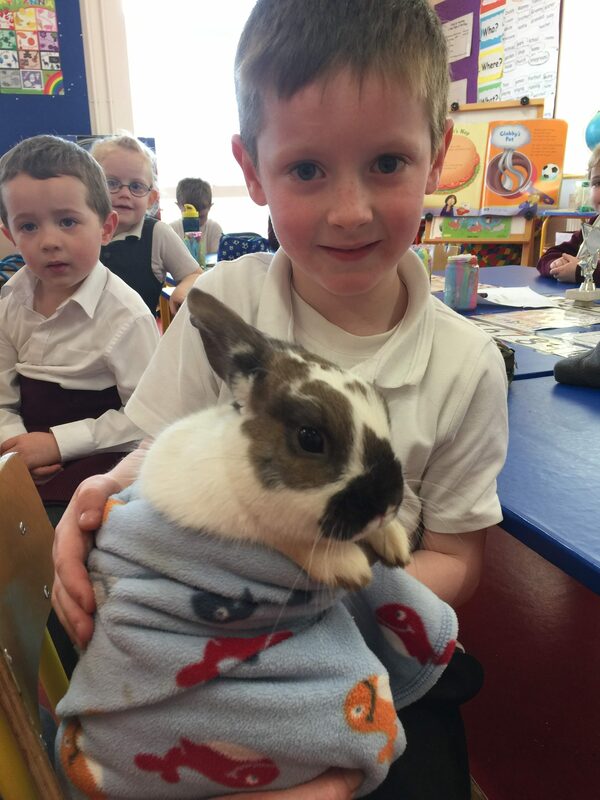 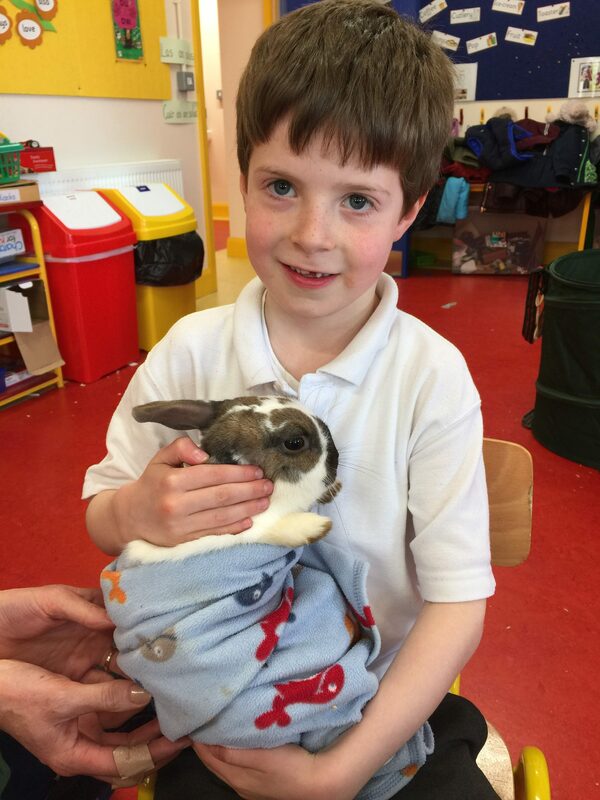 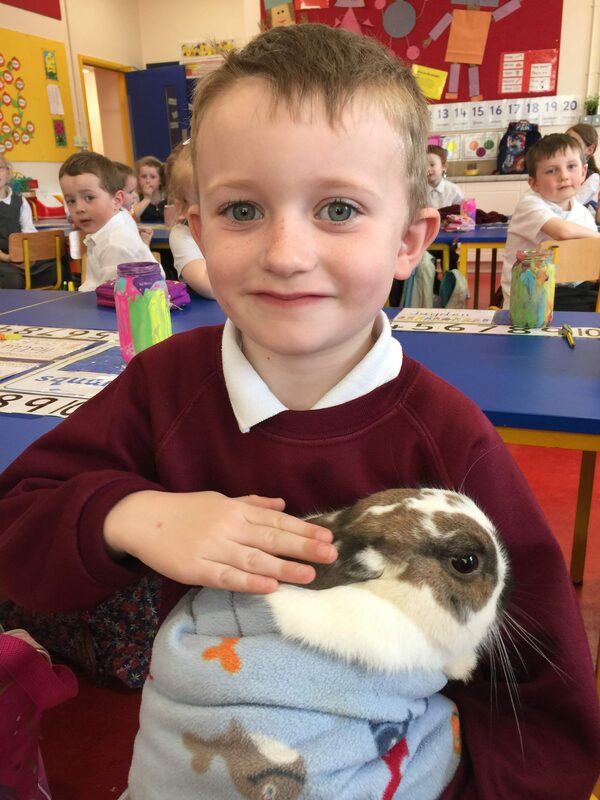 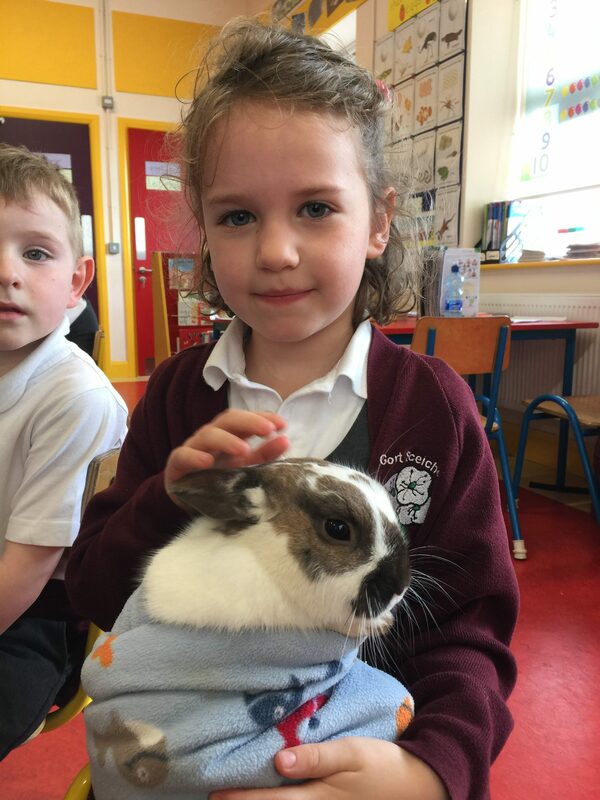 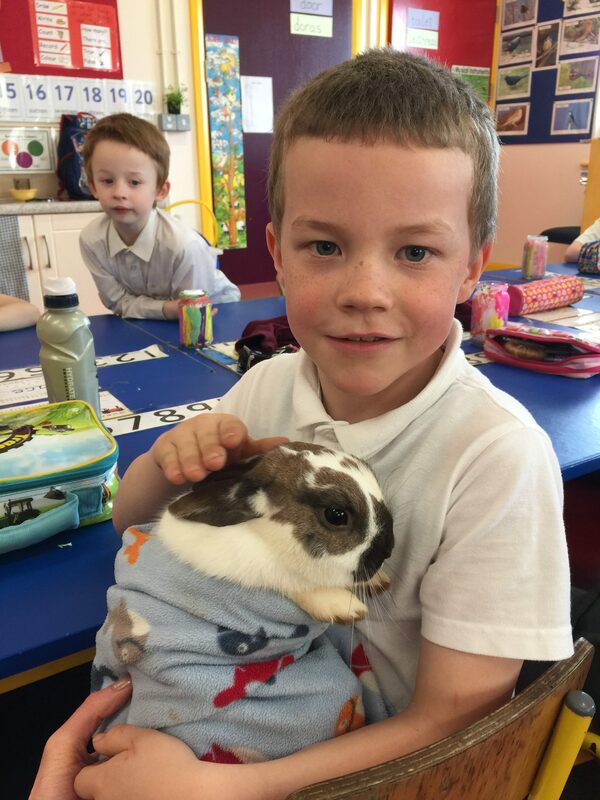 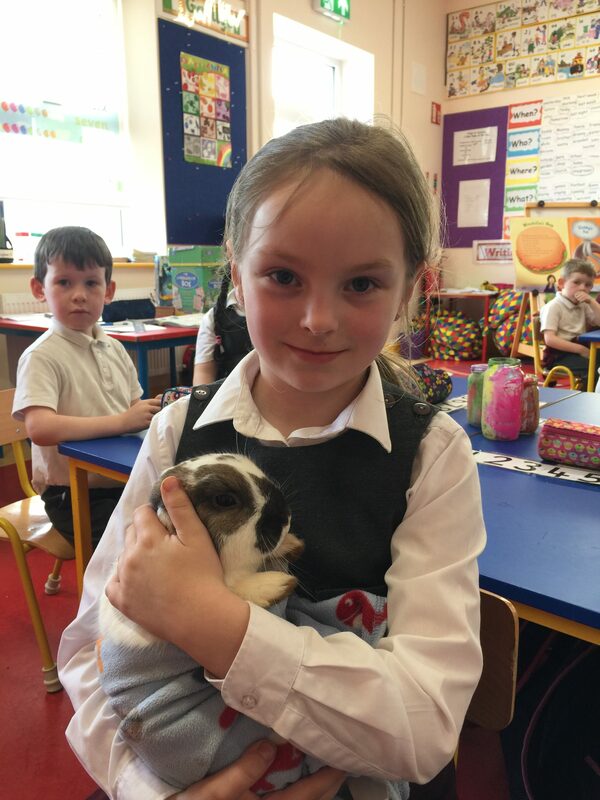 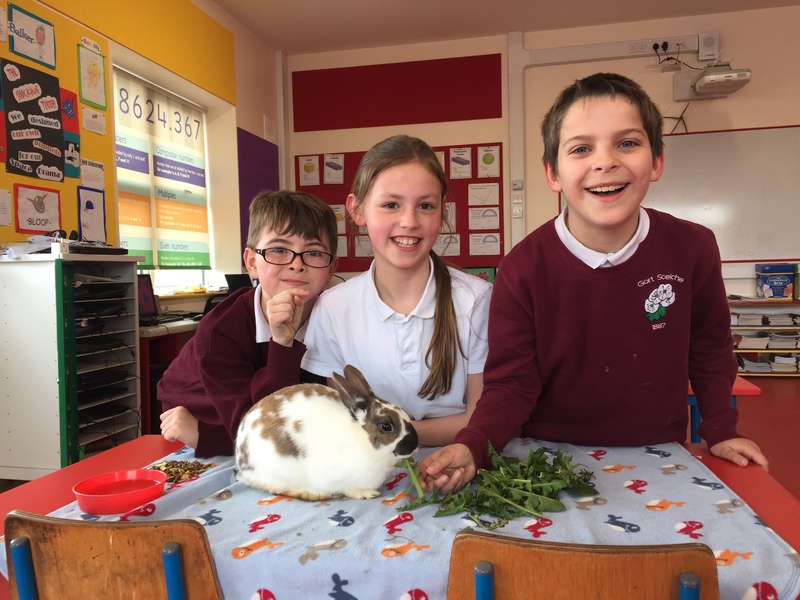 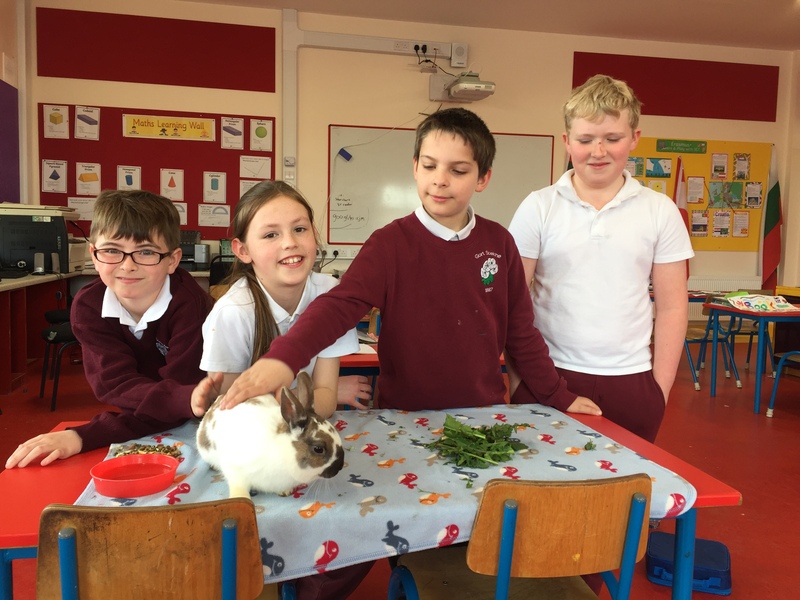 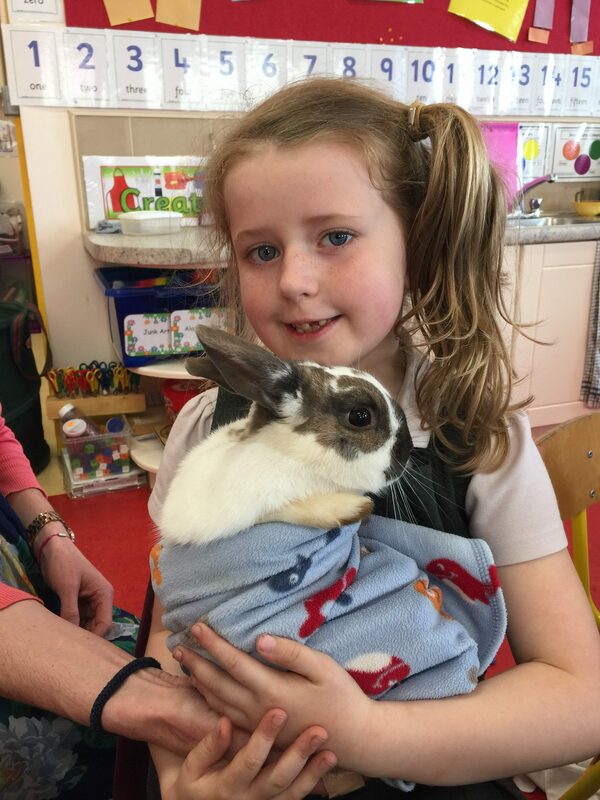 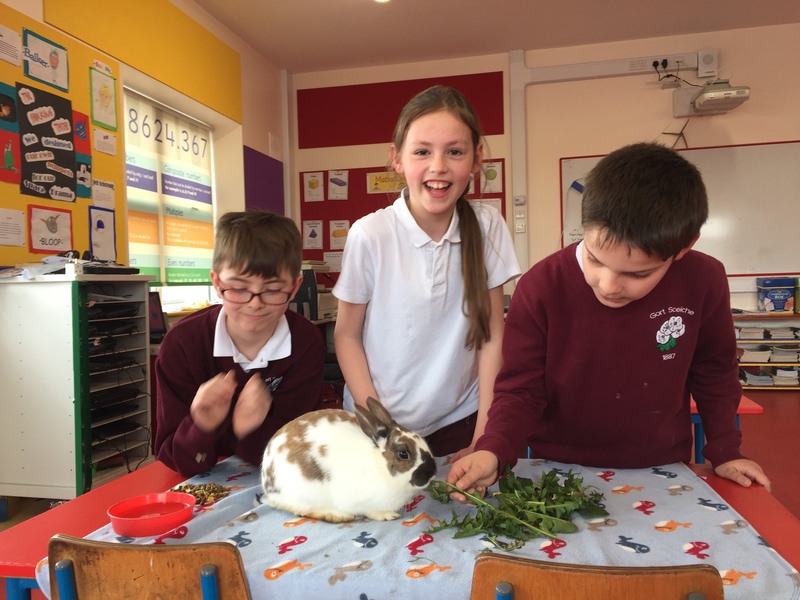 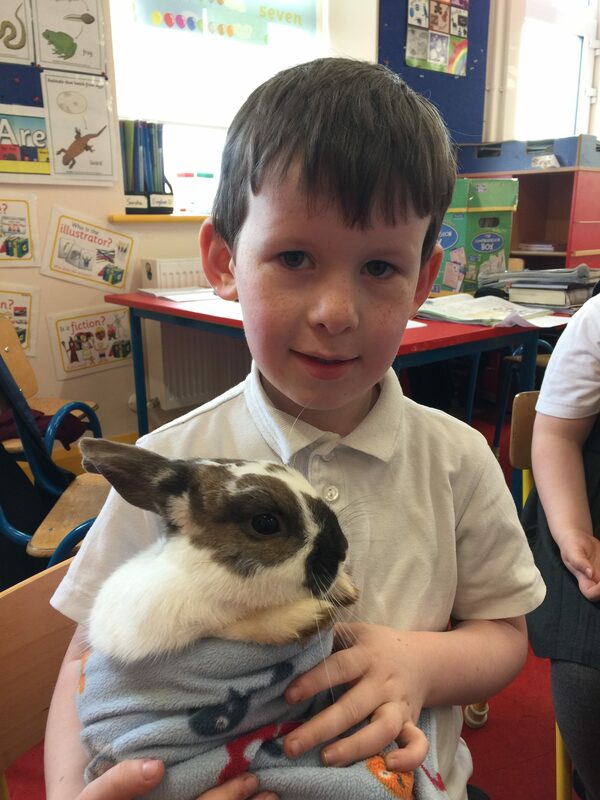 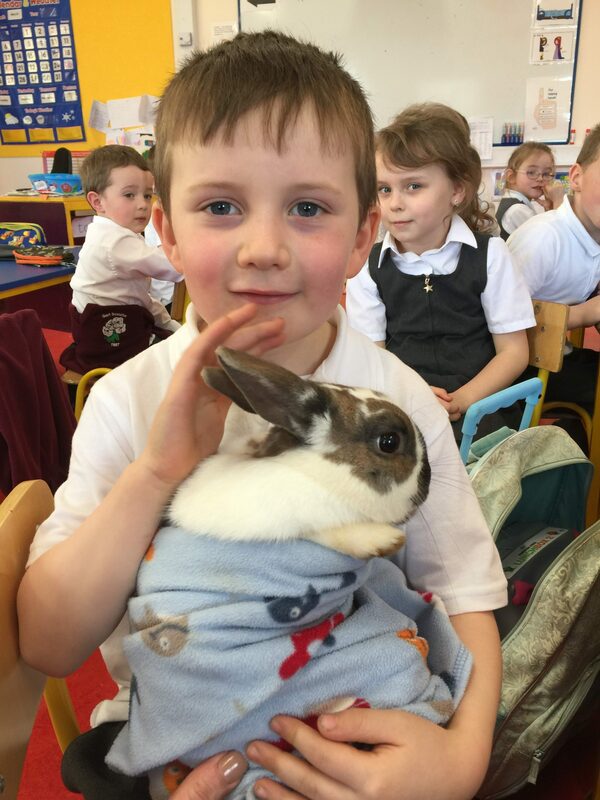 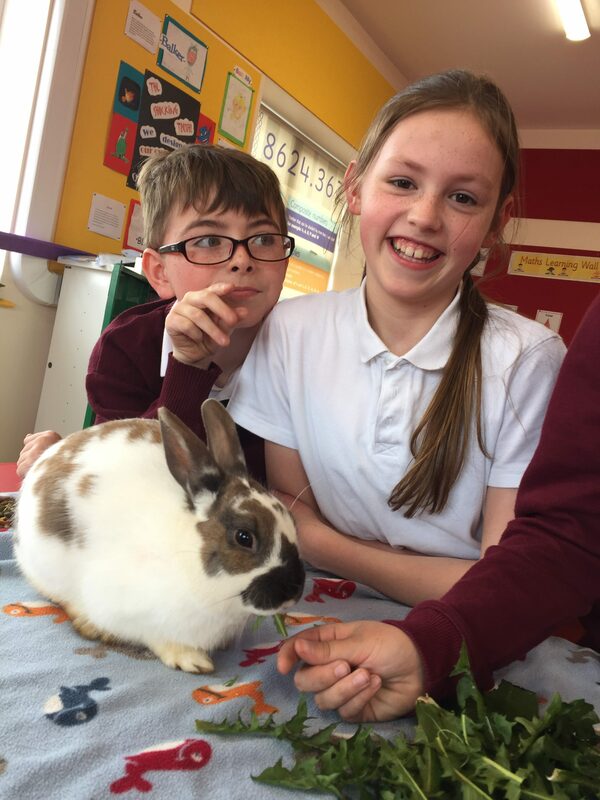 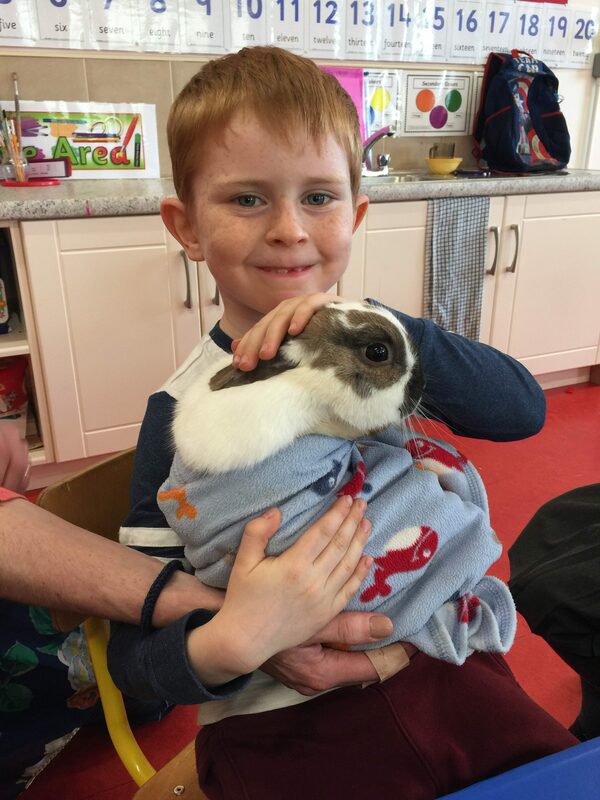 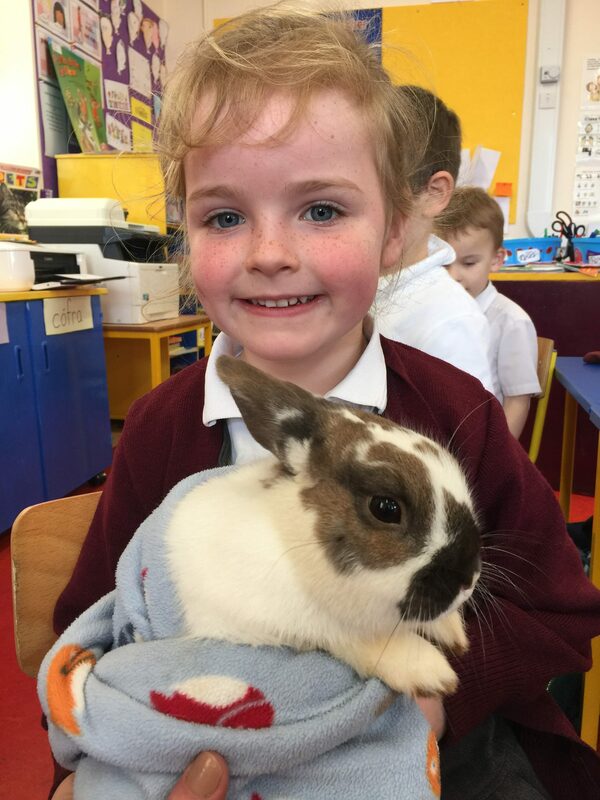 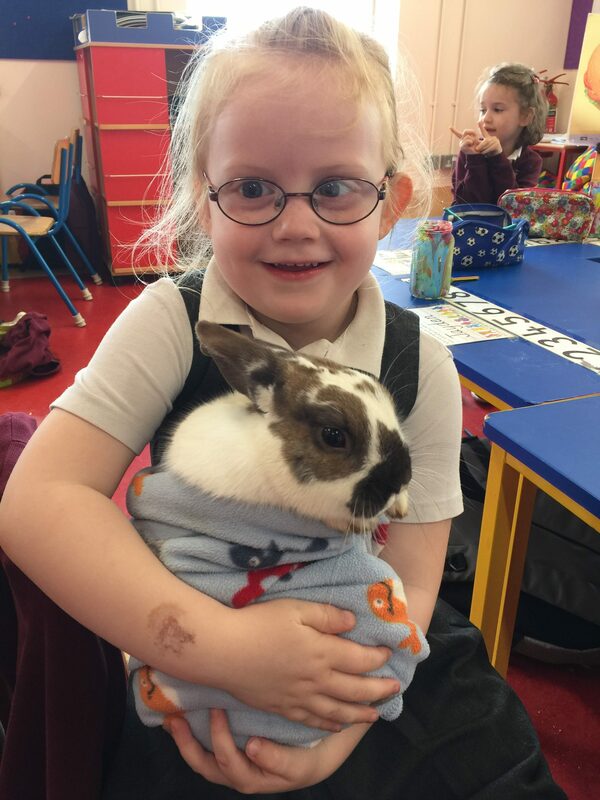 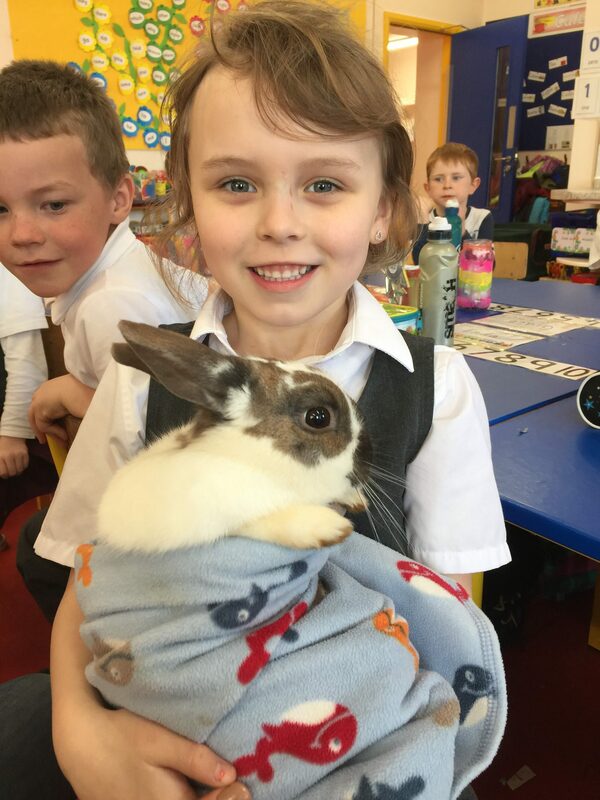 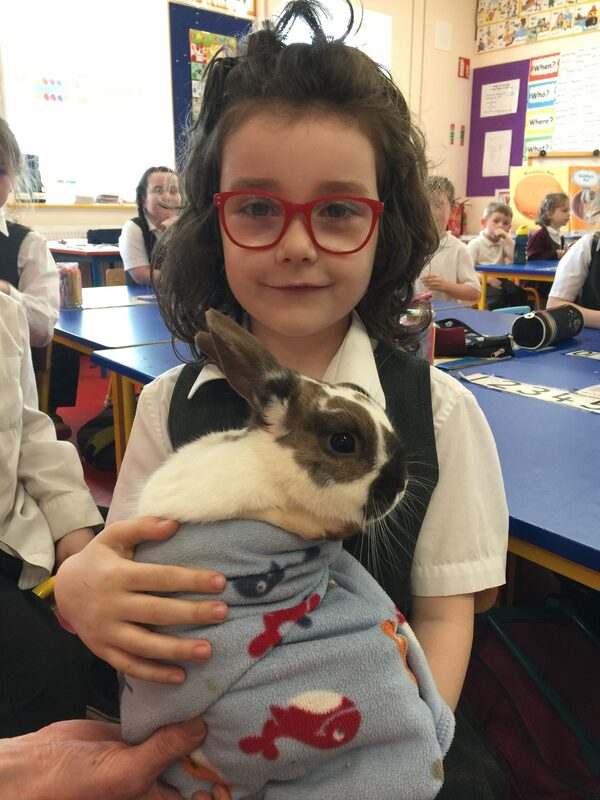 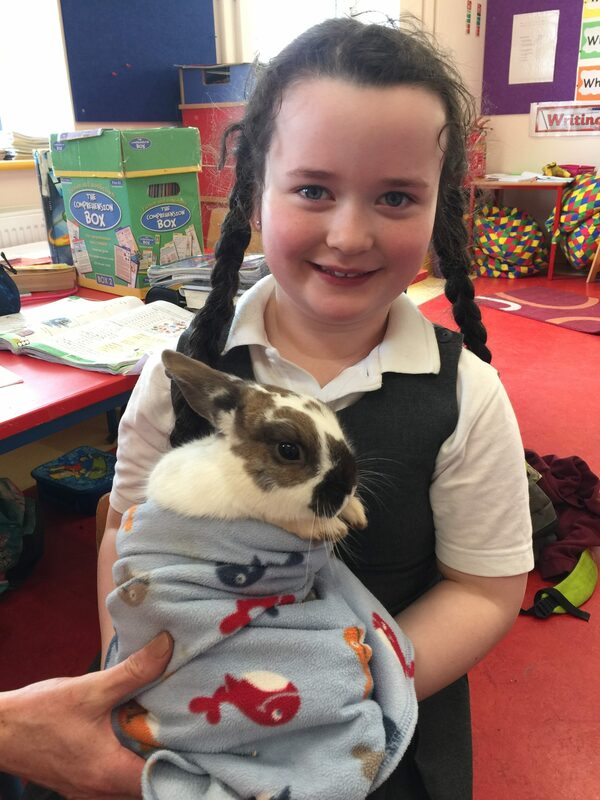 Many thanks to Ms. McDermott for all her hard work during the week and bringing in her pet rabbit Thumper to meet us all. 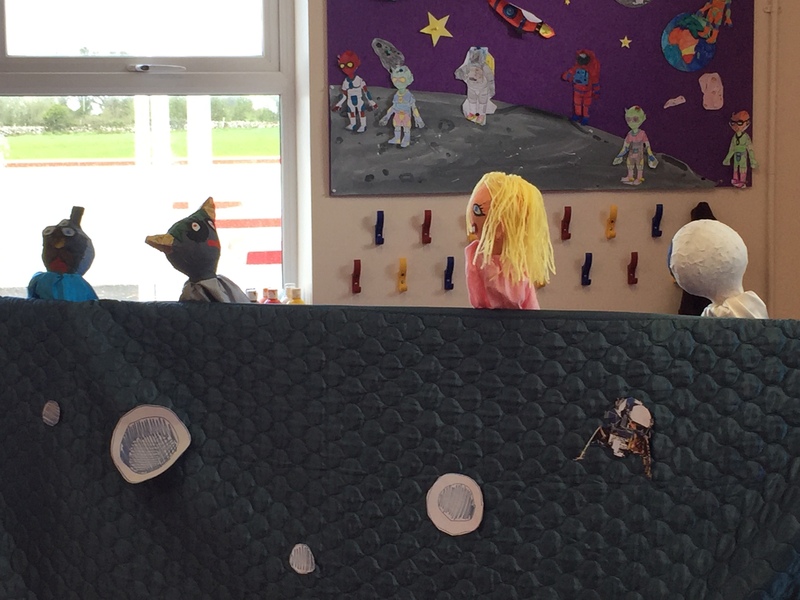 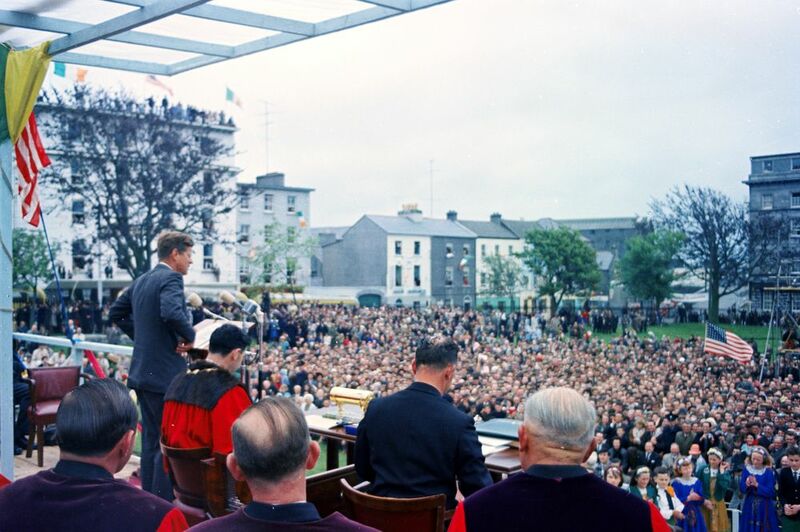 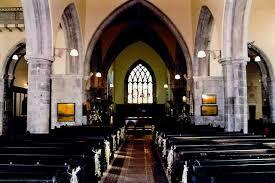 View ‘The Shocking Truth’ puppet show below.